Angela McDonnell and Ali Schaal published a GlobeSt article on the essential risk management functions of Funds Control. 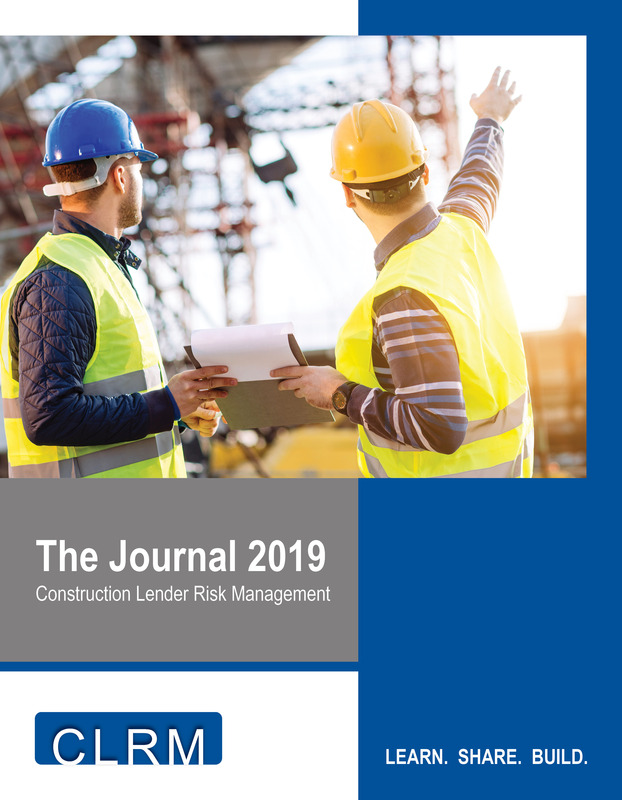 Jenny Redlin named Construction Risk Management as one of the top three due diligence considerations you need to know about for 2019 in a GlobeSt article. Jay Grenfell authored a print article for CMBA Magazine on bridge loans that have a construction component. AJ Nosek authored a GlobeSt article on construction monitoring and funds services specifically for SBA Construction lending projects. Bill Tryon authored a GlobeSt article on the impact of global tariffs on construction risk. Bill Tryon outlined contruction trends amid rising economic headwinds. Third annual Construction Lenders Risk Management (CLRM) Roundtable in Miami Beach, FL March 7-9, 2016 to be sponsored by Partner and attended by nearly 100 leaders across construction lending industry. February 20, 2015– CMC will be a presenter at the 2015 roundtable. at Partner. The article focuses on the recent 2014 CLRM Roundtable. June 19, 2014– 2015 Roundtable: Save the Date! The 2015 Construction Lender Risk Management roundtable dates are here. are gaining popularity in the industry and approval by regulators. March 2014– Lender Survey Results are out! we’ll be sure that they are sent to you. Construction Lender Risk Management Conference in Phoenix in early March. administration and how to better understand plans and spot problems. of all sizes will be in attendance, as well as law firms, architects, engineers and other stakeholders.